Many people want to utilize the Sun within their home as a means of producing their own electricity, both so that they can save on electricity bills and also to help the environment as it struggles to keep up with the demands of the modern world. 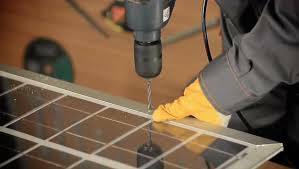 However many are prohibited from doing do by the often expensive prices quoted for the purchase and installation of solar panels in their home. But this high price doesn’t have to prevent people using solar power, as there is a very simple way to make solar panels in the comfort of their own home, thus negating the need to buy through overpriced companies. 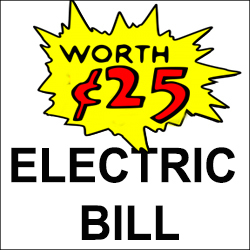 To make solar panels, there are only a few items that are needed, all of which should come to no more than $200 to buy, and will probably make up to five panels. The most important – and expensive – purchase is undoubtedly a sheet of copper, which is essential to harness the Sun’s rays. Other than this the components are easy to find – some empty plastic bottles, some alligator leads and a good supply of salt water. 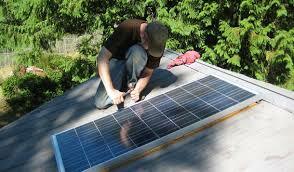 Once all these are purchased then anyone is well over half way towards making their own solar panels! The first job is to cut out two circles of copper, roughly the same size as the diameter of the bottle. One of these can be put to one side, whilst the other needs heating over a stove for a few hours, until there is black residue appearing on it. Once this is the case it can left to cool naturally, before being removed and the black wiped from the surface with a cloth. There should now be two discs of copper, one of which has been rigorously heated. Next the top must be chopped off one of the bottles and the two discs then inserted inside, being careful to not let them touch. After connecting them with alligator leads to the appropriate device, the bottle can then be filled with the salt water, so that it completely covers the copper plates. Believe it or not, this is the solar panel complete and it is ready to be used! If anyone wants to test it first, then the alligator leads can be connected to a meter and the solar panel placed in the Sun outside. There should immediately be an increase in electricity shown, proving that the home made device works. To position this, find the sunniest spot on the roof and simply place it there, with the copper facing in the direction that gets the most Sun. 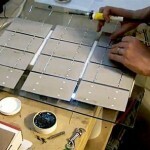 As can be seen, it is incredibly easy to make solar panels and it is surprising that more people do not do it. Whilst homemade solar panels may not replace all of the electricity that is used, they will provide an extra boost for the home’s usage and certainly save a lot of money over the years – which is especially evident considering they cost hardly anything to make in the first place!